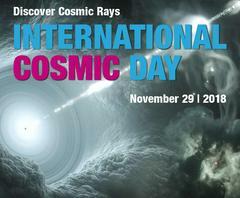 “Events such as the International Cosmic Day are essential to our efforts to expose young people to science. Young people from all over the world can get a first-hand insight into how our research works and find out what exciting findings still await us,” explains Helmut Dosch, Chairman of the DESY Board of Directors. 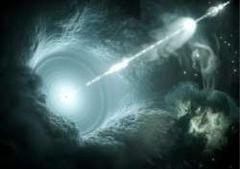 The research field of astroparticle physics has developed rapidly in recent years. All known cosmic messengers, from cosmic rays to gamma rays, neutrinos, and gravitational waves, have only just begun to be measured. Huge observatories are being built to detect the smallest particles that flow through the cosmos. These cosmic particles provide the necessary information to gain insight into the most energetic processes in our universe. Even if we can’t see them with our eyes, the messengers from outer space fly through our bodies all the time. When particles from the cosmos hit the Earth&apos;s atmosphere, they create a shower of thousands of new particles. Many of the new particles decay after a short time. Not so the muons. They can reach the ground to be detected and tell us more about the universe.